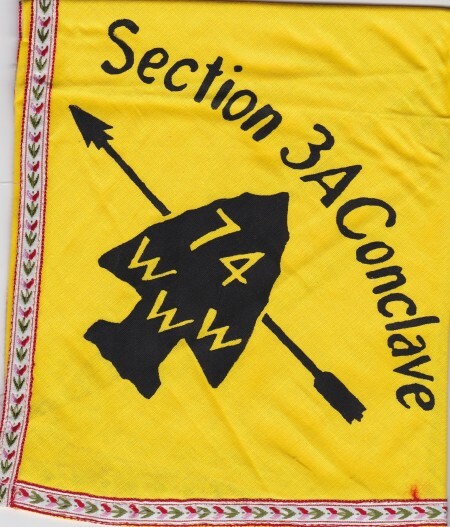 Brian Petrowski had asked me to send him scans of several section conclaves from the 1970’s that both of our lodges participated in. 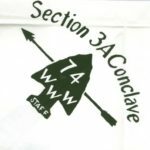 Since I had planned to eventually add scans of NYS Section Conclave issues to the blog; this was the perfect excuse to start. 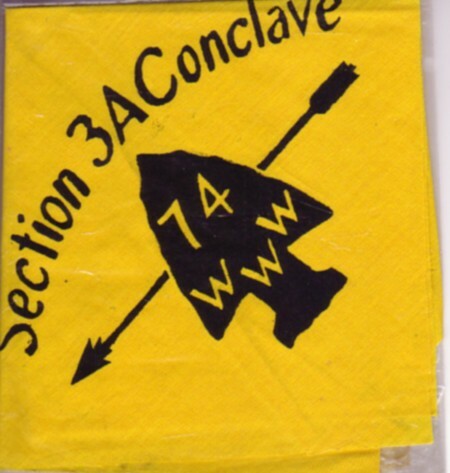 Below you will find 2 issues from the NE-3A 1974 Section Conclave. 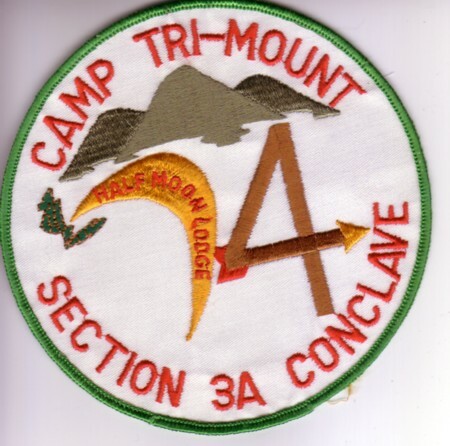 The conclave was hosted by Half Moon Lodge #28 and held at Camp Trimount. 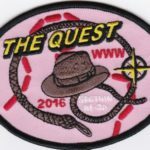 The Pocket Patch is a solid, the Jacket Patch (after the jump) has a twill background. 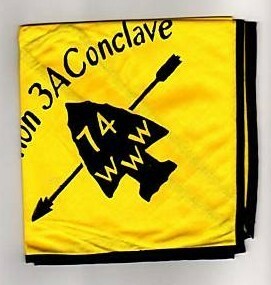 A version with a ribbon border. This one is currently a need of mine if anyone has one available for trade or sale. I’ve always been intrigued by the mid-70s conclave issues from before sections started consistently including the region in their identifier. I guess if you were used to using number-letter, like 2D, you wanted to use 3A even though there was no 3B (so the section ended up being called NE-3). 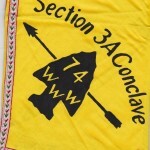 Being originally from an old Area 3-A lodge, I’ve noticed both the NY State “3A Conclave” issues and the early (SE) “3A” issues (the first of which was hosted by my current lodge). 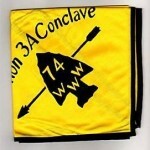 I have a Section 3A Conclave from 1974 that is white, not yellow. 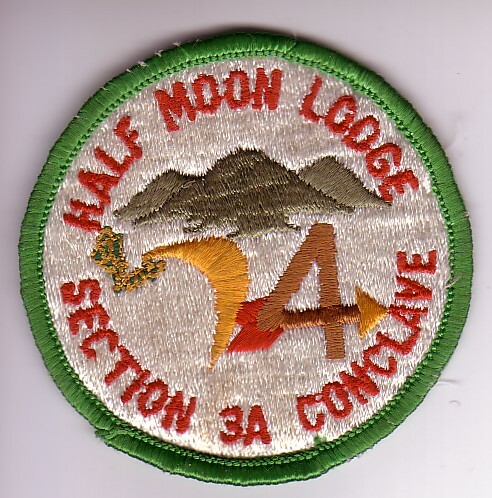 I have some other older OA stuff from some lodges that are now dissolved/merged. I would attach photos of these items for your review. I am now downsizing, and want to place these items where they would be best appreciated, I am not looking to get paid. If you can send me an email address that I can use to send attachments, I will send the info to you.